If someone was to ask me to sum up my life right now with one word I couldn’t. Like a traffic jam of holidaymakers returning home, there are too many words to describe this full and eye opening life. Loud…We are THAT family, the one that turns up at the family events with a roar and a hiss. I watch as our boys run into houses with confidence…and also noise. I am kidding myself as I say before an event “right lets just try act normal and no fighting” because most of the time within 10 minutes it’s my two who are scrapping over a toy or shouting out ‘bumhole’ on a silent glow worms cave visit. I watch people as their eyes widen and then try peel themselves off the wall after our exit. Exciting…there are always things to look forward to, given they are small things like on Saturday we are going to make a volcano out of sand or let’s go collect pinecones but they are exciting nevertheless. Excitement is contagious, but excitement from children is a epidemic! Watching their delight in what they are doing and/or seeing is priceless. Chaotic…you only have to call me to get the full force of this crazy life as like bees to honey the whole family is drawn to me while I am on the phone. A million questions being asked at once, a fight to stop, and tears to wipe away as a superhero toy won’t stand up like he is supposed to. Throughout this trying to get the balance right of keeping the housework manageable, everyone fed, quality time together and my work up to date. Fun…our lives are filled with fun, my boys are busy yes but so much fun. There is nothing better than being silly, running around with the kids and laughing till we fall on the floor. Totally exhausting at times but I doubt I will remember that over all the fun memories we create as a family. Sick…my medical kit is growing daily, I feel I can diagnose a problem because of the fortnightly visits to the doctors that never cease. I have been around the alternative remedies route as many recommend…chiropractic, vitamins, whole foods, specialists and our house is warm and dry. I have come to the conclusion it is in fact…that they are children and they get sick it’s just the way it is! ALWAYS have enough supplies to deal with the symptoms to prevent yourself going crazy! Loved…The best feeling of all. We have the most amazing group of family and friends who genuinely love us for who we are. I couldn’t survive without my friends, who are honest and supportive. We share the ups and downs and encourage one another, we have playdates with our unwell children because we have cabin fever. Us mums escape our houses for late night Kmart missions to redeem our sanity. Complete…there is nowhere I would rather be, no one I would rather do life with than my husband and boys. They are my world, my crazy, my love, my everything. I know, I know it sounds gross right? But its not as bad as you think! After moving to our new house I looking for a way to get rid of our fruit and vegetable scraps without going down the compost route (they can attract rats..i hate rats!) and a practical way to help teach the boys about caring for our environment. After lots of research we decided on a worm farm, it wouldn’t take up too much space or my time and the worms create worm tea/wee that benefits the garden! We have had a worm farm over a year now and have found it is so useful in our household. It is very low maintenance and there is no need to touch the worms at all. It was also very cheap to buy ($15) so it was a great investment for our first worm farm and you can build on it if you want more worms! I have found that the kids are right into it, helping out feeding the worms, covering them over and collecting the worm tea/wee to use in our garden and to sell for pocket money! 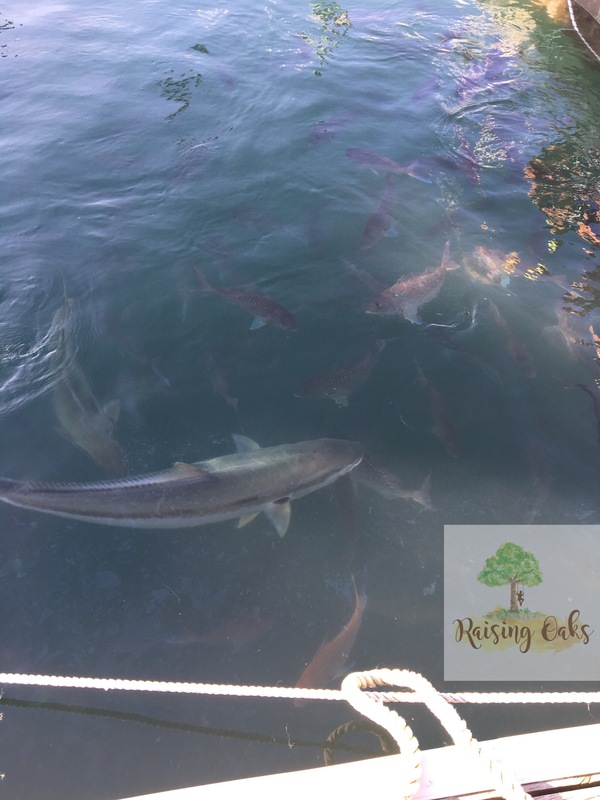 It is a great learning experience for them in the way that they are learning how to look after our environment by using our food waste rather than throwing everything away. Our wonky carrots and in the background amazing pansy garden thanks to the worm farm. Have I mentioned it is AMAZING in the garden? Our summer fruit and vegetables have been abundant. The worm wee/tea collects in the bottom of the worm farm, the worms turn the food scraps into a solid amendment called vermicastings, also known as worm casting or worm wee which speeds up the plant growth and reduced the effect of plant diseases and pests. Although I have learnt I do need to water it down as it can be so strong on new seedlings! Our watermelon and tomatoes from the garden. Today Levi made some labels for the worm tea/wee to sell for some pocket money which was a fun activity to do together. He decided on the wording…although I did talk to him about not labelling it Levi’s worm wee…doesn’t have the right message hehe! Levi’s labels on the worm tea, “Levi is 5, Look worm wee” I love the addition of the black barcode! So if you ever get a chance or are interested I definitely recommend getting a worm farm at your place. There are so many websites with information and lots of gardening centres and hardware stores that are willing to help. 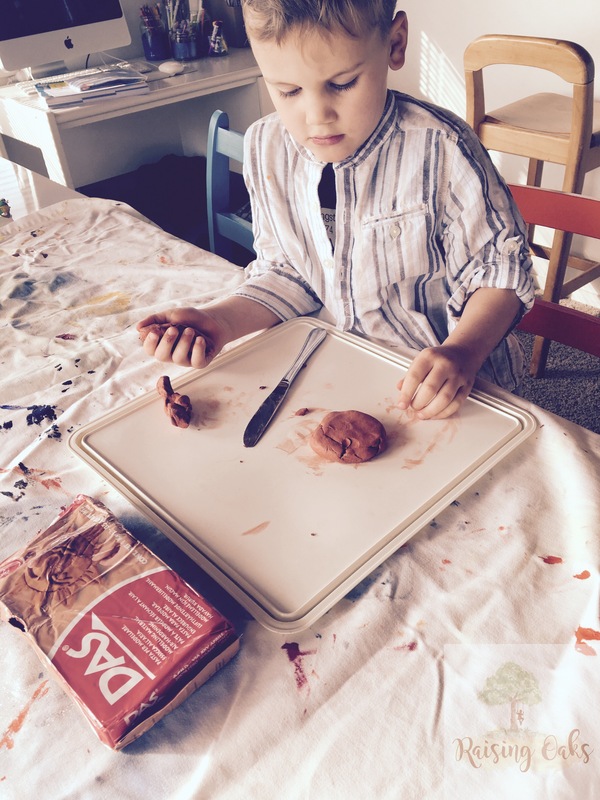 Today was the day…Levi has been asking for weeks to work with the clay since he received it for his birthday. Levi has worked with clay at kindergarten and would continually go back to the clay table to create things, so it has been a perfect present for him! Clay is not only used for the end product that is created, it has all sorts of benefits for children that is why it is often used in early childhood centres and schools. Children enjoy experimenting with its mouldable texture which unlike flubber, or playdough it can hold its shape and be kept forever! Clay has no right or wrong use, it can be kept but also can be used and then remoulded into something else. 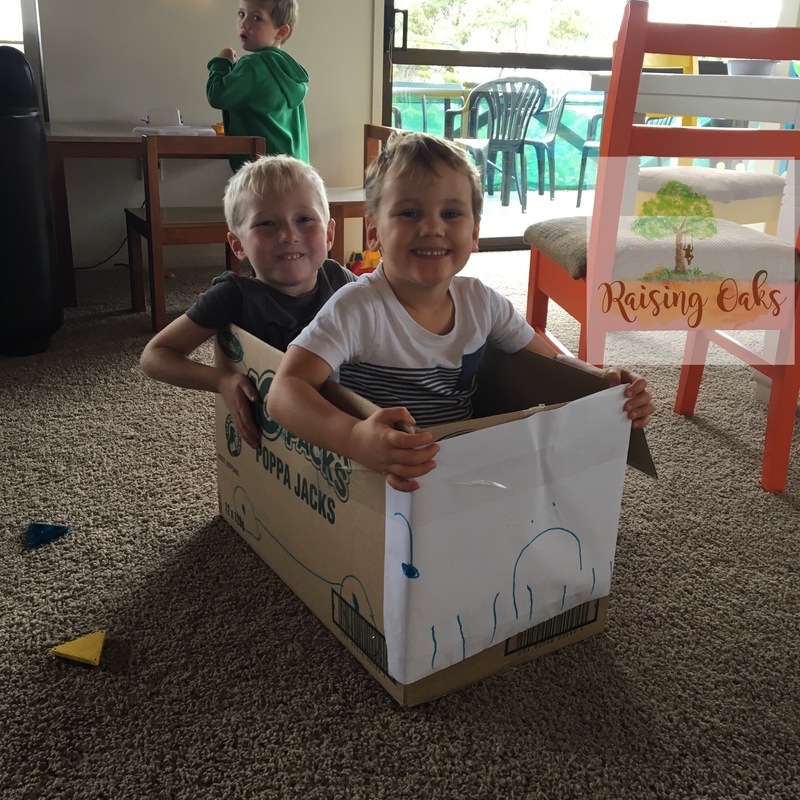 Problem solving – this was a big part of Levi’s learning today as he wanted to create an animal house, but how would it stand up without going flat? How could he create a hollow object. So why not try clay with your children? Its an inexpensive activity with little tools required other than water and the children love it. I promise its not as messy as you think! The best FREE winter school holiday activities! 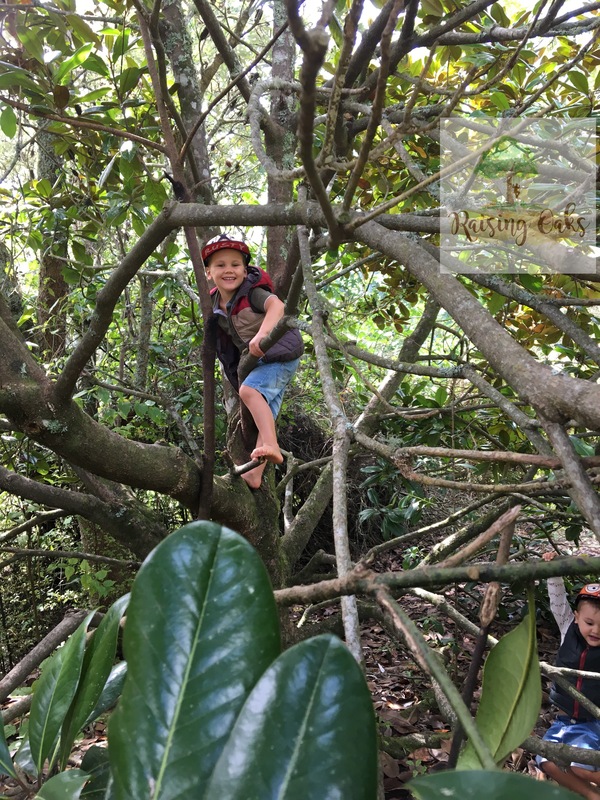 Being that its winter in New Zealand and the kids have been stuck inside a lot lately because of the rain, its a great idea to get outdoors! If its nice enough go and find a great walk to go on together. I totally recommend the tunnels at Northhead in Auckland this was such an adventure! I took three boys to explore these tunnels the last holidays and we had so much fun! Make sure you take a torch for in the tunnels and a cardboard box if you want to slide down the hills! Exploring the outdoors is so much fun and so good for you too! Get out your board games and have a games day! Kids love this time spent together, it’s great for turn taking too. 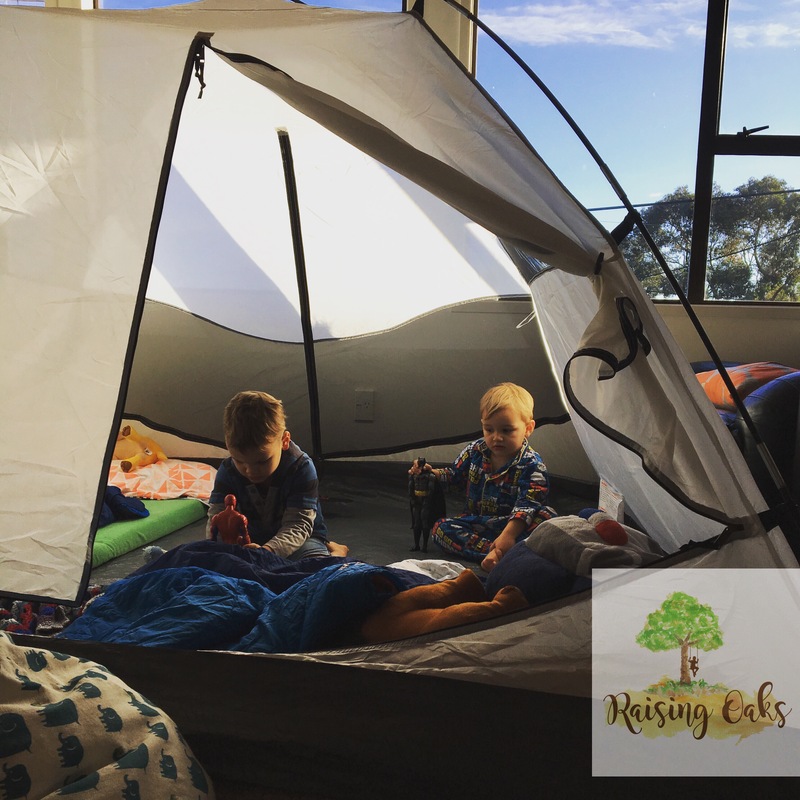 Its not ideal at the moment to pitch a tent outdoors but if your house will allow create a sleepover camping experience inside! Push all the furniture aside and pitch your tent! Create a fire to toast marshmallows over or toast them on your fire if you have one! My boys absolutely loved this and didn’t want to take the tent down!! I didn’t even have to put the fly of the tent on as they were inside…bonus!! Louis would have his day naps in there and both boys spent the night in theirs. Too many people stop going to the beach in winter but there is still so much to do! 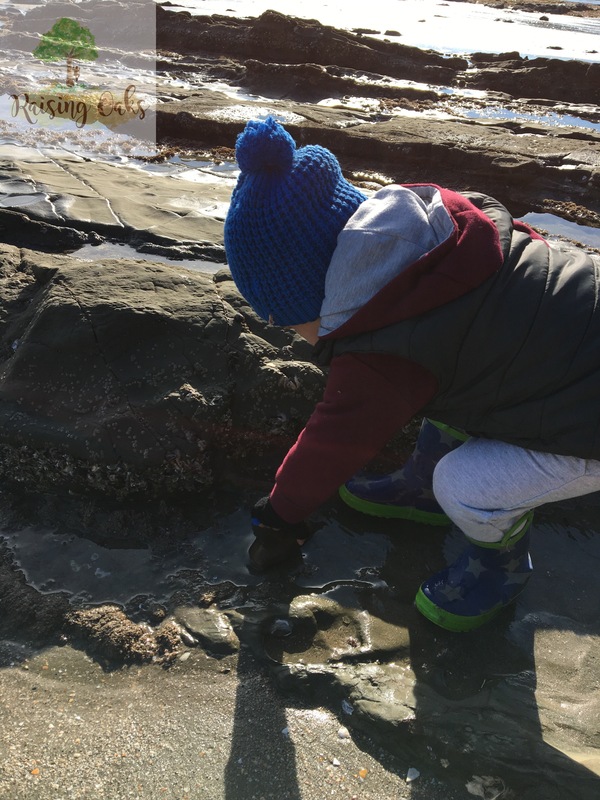 We go rock pool exploring, climbing trees, hunting for treasure, collecting shells and drawing in the sand. Some times we throw in a long jump competition in for a laugh! 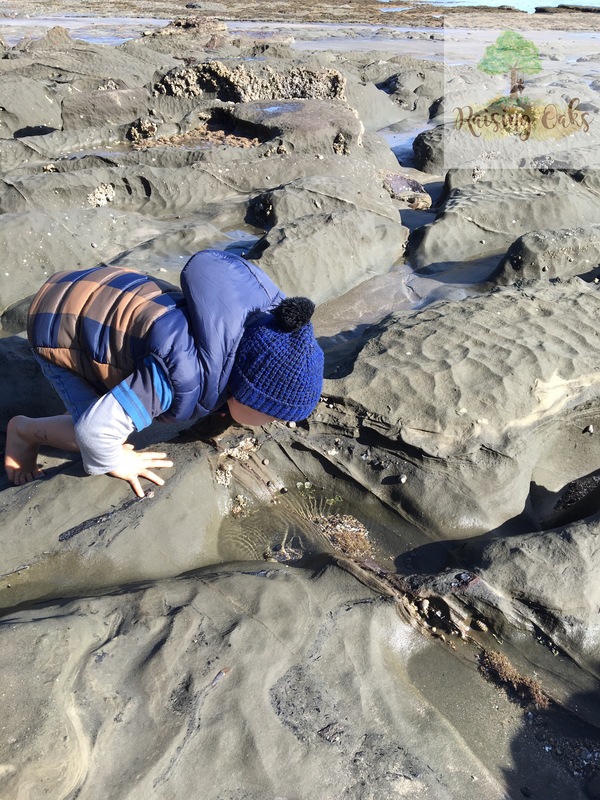 I have even found a few scavenger hunt checklists for rock pools, will add the link below. At our local supermarket they give you boxes instead of bags for groceries. The kids think this is awesome as they get to use these boxes when they get home for creating cars, castles and robots. Ask your children to work together to create a rocket to send to space! Give them what they need and watch them work together. Visit your local pet store or animal shelter. My boys love to do this! It’s simple, it’s free and they ask the lovely people who work there lots of questions about the animals! In the holidays they often have colouring competitions and face painting which is a bonus! Hire a movie (or borrow one) and create an indoor cinema! You can also get your children to create invitations to invite their friends to their home cinema! 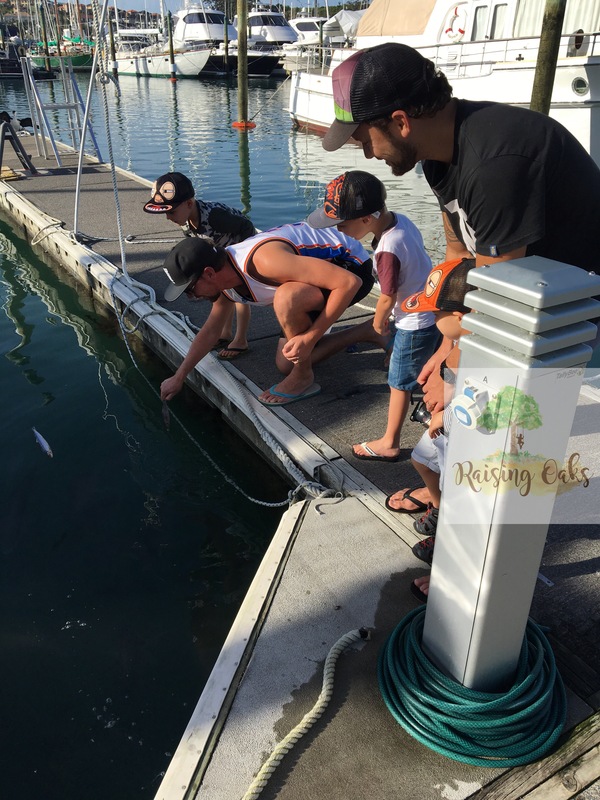 At Gulf Harbour our local marina you can feed the snapper, kingfish and even sting rays! Please take into consideration what the fish you are feeding actually eat. Eg at this marina they reccomend you feed them pilchards and lots of places no not reccomend feeding them bread. The olympics is just around the corner why not get together with some other mums and think of an even each that you could put together to make your own olympics?! How much fun would that be! The library also runs holiday activities so get along and see what they are doing! This is great if you have a large local library like we do as in the winter sometimes the kids are just dying to get out of the house. Take a set of books home to read and enjoy together. Check out your local area for school holiday activities, often the mall or hardware store will have craft activities that your children can do for free! 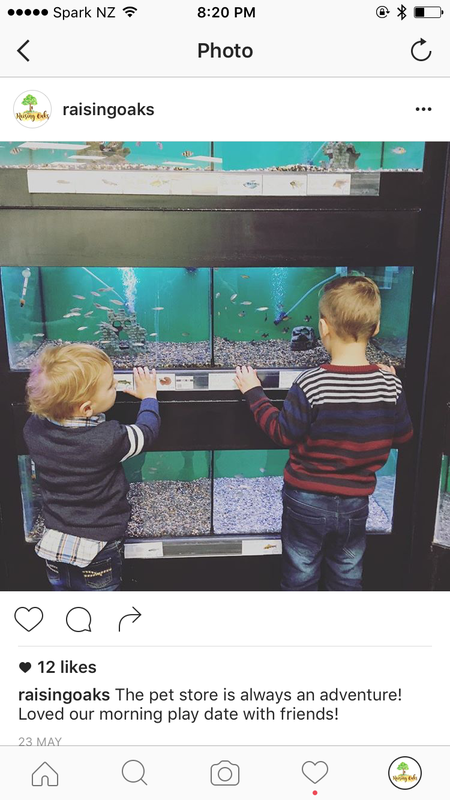 Next week we are going to a shopping mall to create aquariums to float Dory and Nemo inside! I would love to see how you are spending the holidays with your family and yes for the many followers overseas who are enjoying summer I am totally jealous! !